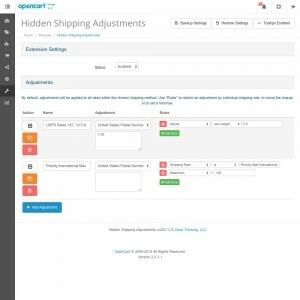 This extension allows you to adjust your shipping costs for USPS, FedEx, UPS, or any other shipping method, without your customer knowing. 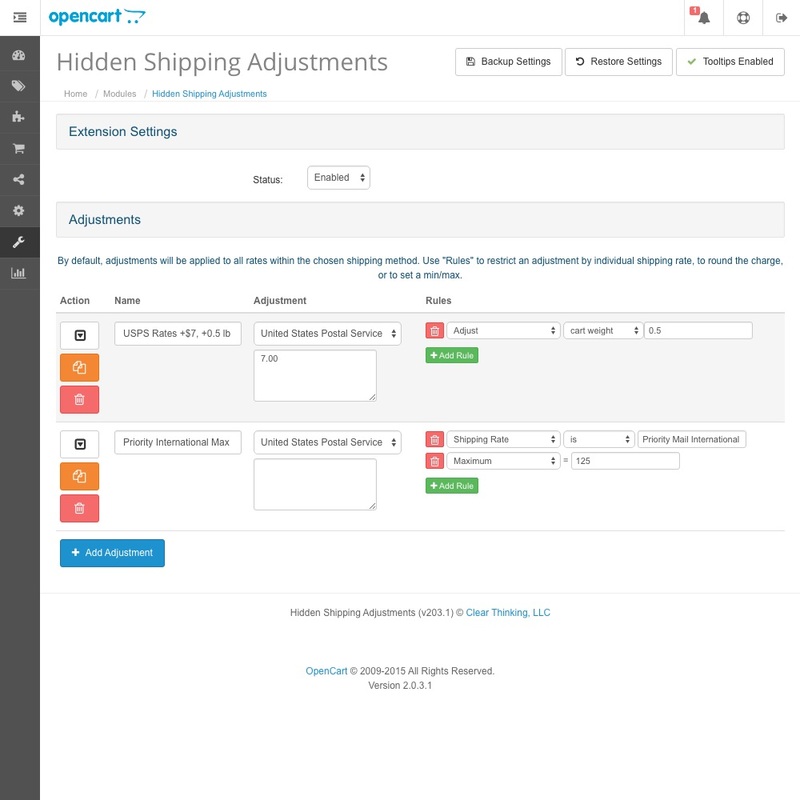 Use it to change the cart weight before shipping calculations occur, and/or modify the shipping amount charged to the customer. 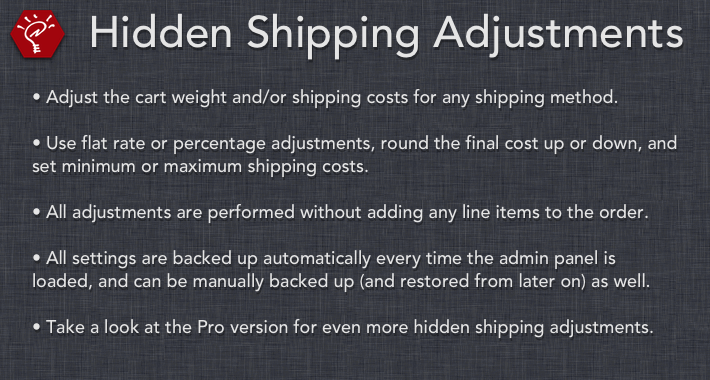 Change the weight used for shipping calculations, individually for each shipping method. 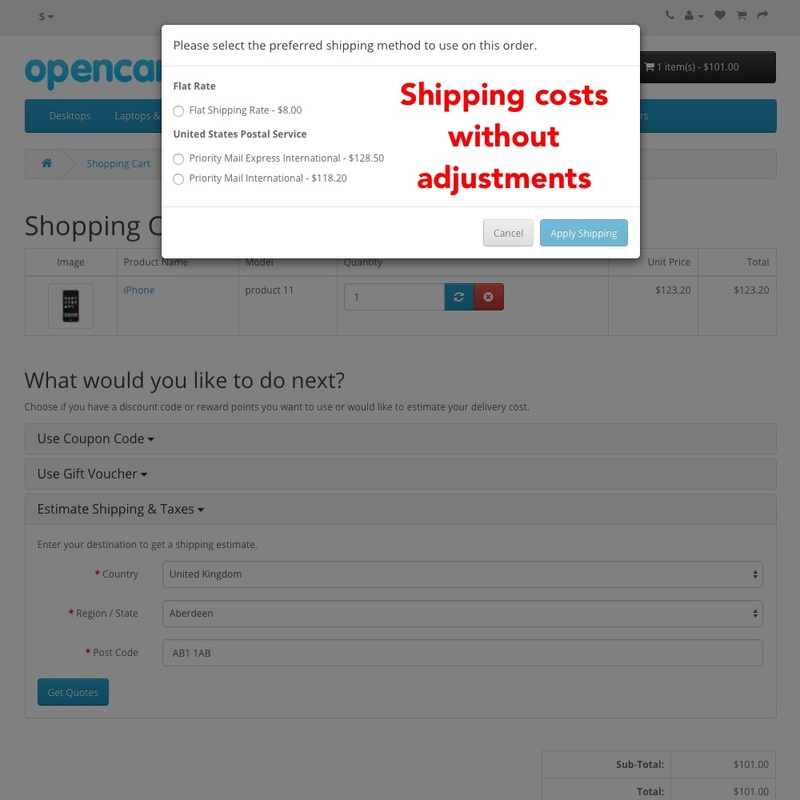 Increase or decrease the calculated shipping cost, individually for each shipping method, and optionally for each shipping rate within a method. Adjust the weight and costs by flat value or percentage, and set minimum or maximum limits for the results. 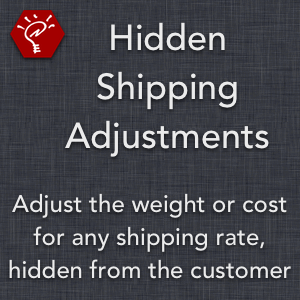 All adjustments are hidden from the customer, so no line items are added to the order. - NOTE: This version is a complete redesign, to utilize a new "rules" system. The functionality is essentially the same, so updating is not required at this point. If you do decide to update from a previous version, this version will overwrite the old version, and you'll need to recreate your adjustments within the admin panel. - NOTE: The extension now uses ocMod instead of vQmod, as required by the OpenCart cloud. If upgrading from a previous version, make sure to delete the old vQmod file, and then click "Refresh" in Extensions > Modifications.